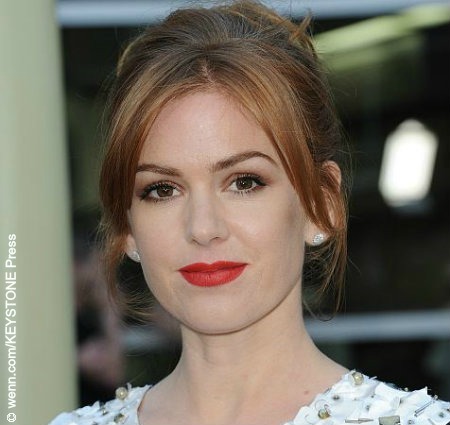 Red-haired beauty Isla Fisher was born in Oman and lived for a short time in Scotland before her family settled in Perth when she was six. Isla got her first big break in the ‘90s as part of the ensemble cast of the Australian soap opera, Home and Away. In the 2000s, Isla pursued her career in Hollywood with roles in Scooby Doo and I Heart Huckabees. In 2005, she finally landed the role that would make her a star. As Vince Vaughn’s romantic interest Gloria Cleary in Wedding Crashers, Isla was a scene-stealer and comic gold. She continues to steal scenes in projects such as The Great Gatsby, Arrested Development and Now You See Me. How about correcting the redeye in the photo of Mia Wasikowska???!! !